Adorable, soft, sweet, and utterly irresistible. We dare you not to fall in love with these six unforgettable crochet patterns! Guaranteed to give your heart a flutter, from creature comforts to precious projects, you will love crafting these gorgeous patterns as much as you will love gifting them away! This adorable girl’s dress and tunic by Stylecraft is designed in their irresistibly soft Wondersoft DK acrylic yarn which comes in a flurry or sweet spring petal shades that has us swooning! The perfect spring project for your little one! Is there a mouse in your house? Download this FREE pattern now, for a heart meltingly sweet snood! It’s a wonderful accompaniment for spring walks and garden games, and this cozy snood is perfect for beginner crocheters! Pick your favorite Bernat Chunky yarn and whip one up in record time! What’s cute, soft, and gives the best hugs? Bears of course. If you haven’t met this little teddy then you’re in for a treat! Rikki from the Czech Republic is looking for a friend to give his heart to! A wonderful crochet gift for someone special, Rikki is made from Schachenmayr Universa DK yarn and designed by Lilla Bjorn Crochet! For dapper dogs and fancy cats this pet tie is just the cutest crochet accessory! Wonderful for wedding season or just cute kitty moments, this super sweet beginner project is the brainchild of LoveCrochet legend Anna Nikipirowicz! Made from Rowan Kid Classic and Rowan Handknit Cotton, this FREE pattern will provide everlasting memories with your four-legged BFF. Fall head over heels for this angelic Morning Dew FREE Cardigan pattern from Paintbox! 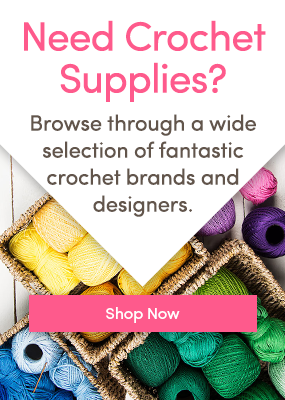 Craft in delicious sorbet shades from Pistachio to Daffodil, that can be crocheted for ages 0-18 months. Okay, we see a cuddly creature theme emerging! This Panda Hoodie and Sock combination is scoring high on the love-barometer! Designed by MJ’s Crochet Off the Hook in worsted yarn, we want an adult version too! Which crochet projects have you swooning? Why not share in the comments below! 4 Responses to We dare you not to fall in love with these crochet patterns! AWWW . . . I love, adore the Rikki Bears! Why is there no free pattern for the Rikki Bears, why show us and then we have to buy it ?